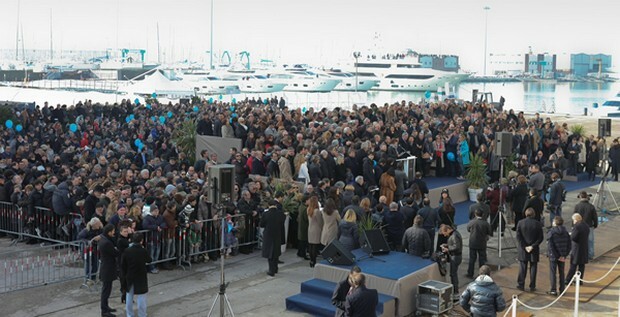 Great celebrations involving 3,000 people including institutional representatives, VIPs, the Shipyard’s employees, the entire Management of the Ferretti Group, and many citizens (to whom the Shipyard was exceptionally opened) were held in Ancona for the launch of the new flagship CRN 129 “Chopi Chopi”, which – with its 80 metres of steel and aluminium – is the largest pleasure vessel ever built by CRN and one of the biggest ones ever produced in Italy. CRN is the Ferretti Group’s Shipyard specialising in the construction and sale of fully-custom and semi-custom megayachts in steel, aluminium and fibreglass ranging between 40 and 90 metres in length. The M/Y Chopi Chopi is a megayacht, entirely built at the Ancona Shipyard, whose value exceeds 80 million Euros. It is the 129th pleasure vessel built by CRN, which in 2013 will celebrate its fiftieth anniversary and is thus celebrating a really historic moment: this yacht has indeed broken the previous record of 72 metres set by the “Azteca”, which was launched in 2009 and, until yesterday, was the largest yacht built so far by CRN. The building of Chopi Chopi required approximately 660 thousand working hours. A large number of local suppliers was resorted to for its construction. 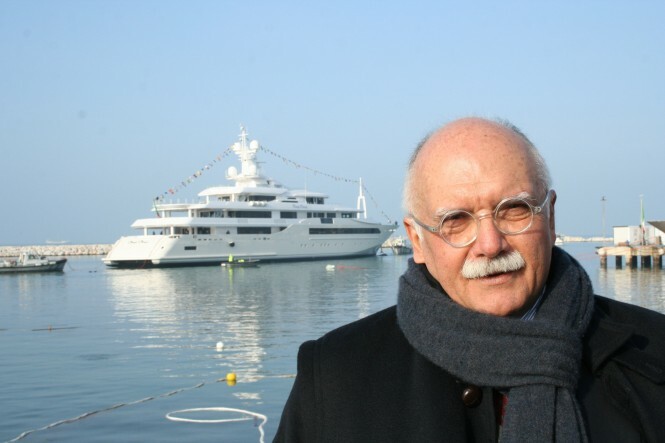 Both the architectural firm in charge of the yacht’s exterior lines and interior layout – Studio Zuccon International Project – and the one that took care of interior design and furnishings – Studio Laura Sessa Romboli – are Italian, confirming the value of this megayacht and its being a world-class, entirely made-in-Italy product, bound to represent Italy’s outstanding shipbuilding industry all over the world. The launching ceremony, open to the whole city of Ancona, was attended by CRN’s Chairman and CEO, Lamberto Tacoli, the Chairman of the Ferretti Group and the Weichai Group, Tan Xuguang, and the Ferretti Group’s CEO, Ferruccio Rossi, as well as by several public authorities including the Chinese Ambassador in Italy, Ding Wei, the President of the Marche Region Council, Gian Mario Spacca, Ancona’s Mayor, Fiorello Gramillano, and many leading Italian industrialists and entrepreneurs, headed by the President of Ucina-Confidustria Nautica (the Italian Marine Industry Association), Anton Francesco Albertoni. . 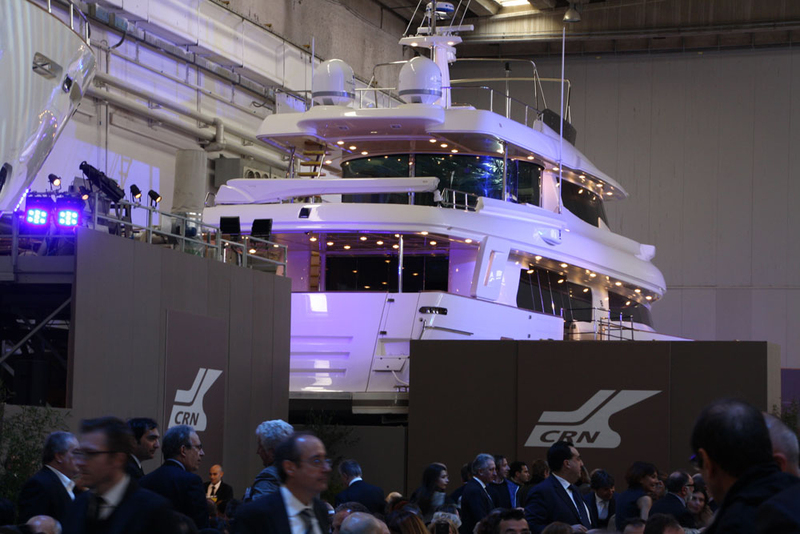 According to Lamberto Tacoli, CRN’s Chairman and CEO, “Today’s launch should make proud not only our Company and its employees, but the whole Italian boating sector and the Italian Industry in its entirety. The building of a truly ‘unique piece’ like the Chopi Chopi is a tangible example of how creativity, design, technology and craftsmanship can harmoniously ‘contaminate’ each other to achieve absolute excellence. It is products like these that will preserve Italy’s world leadership in this sector”. “CRN is already looking ahead at more goals and intends to keep focusing on two key aspects that have always been vital for the Company – the Customer and the product -, in order to be able to grow further and maintain its position in the élite of the world’s shipbuilding industry. We have never failed at proving our commitment and passion, and the launch of the Chopi Chopi will certainly represent a milestone in hour history, but will by no means be an endpoint in our development. Several important events are expecting us over the next few months, including our fiftieth anniversary, two more launches (of a 60-metre and a 43-metre yacht), and – above all – the Monaco Boat Show in September, where we will present the Chopi Chopi together with the 60-metre J’Ade. Because of all this, we are extremely proud and very optimistic about the future”, concluded Mr Tacoli. After the launch Chopi Chopi will remain at the Shipyard: over the next few months sea trials will be performed and onboard fitting-out operations will be completed. 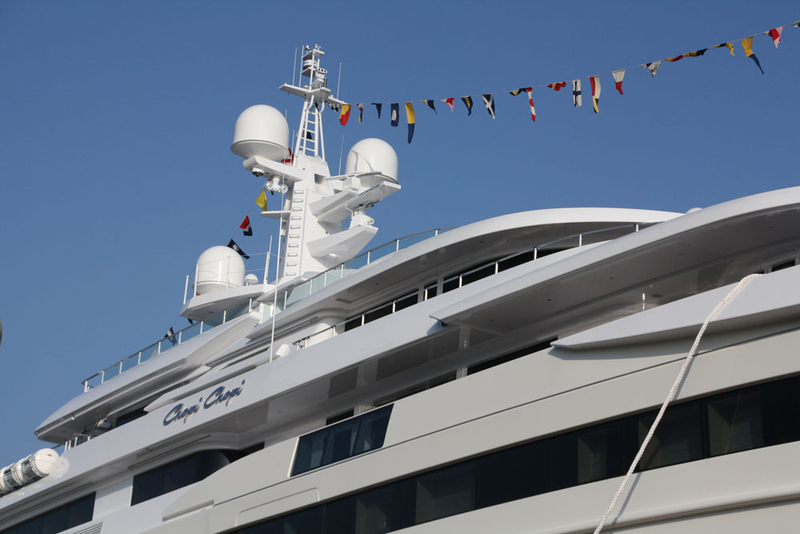 Final delivery to the Owner is scheduled by May, and the vessel’s first cruise will be in the Adriatic sea. 8 pleasure vessels are currently being built under the CRN brand at the Ancona shipyard: six megayachts in steel and aluminium – 60-metre CRN 125 “J’Ade”, 80-metre CRN 129 “Chopi Chopi”, 74-metre CRN 131 (all designed by Zuccon International Project), 73-metre CRN 132 (designed by Omega Architects), 60-metre CRN 133 (designed by Francesco Paszkowski Design), 55-metre CRN 134 (designed by Nuvolari & Lenard) – and two 43 metres long fibreglass CRN Navetta 43,also designed byZuccon International Project. 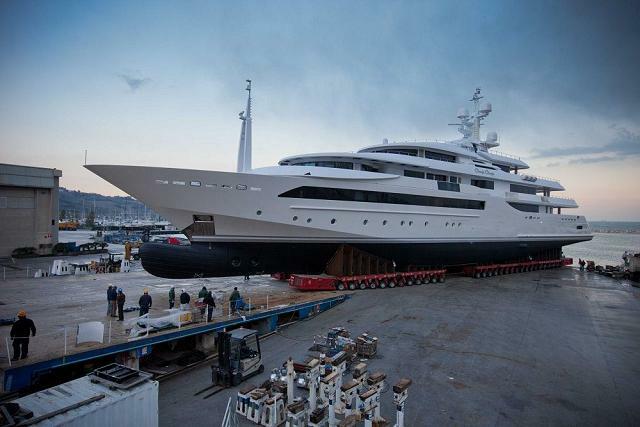 The 60-metre J’Ade, launched in November 2012, has confirmed the success of the previous megayachts built with a 10.20 metres wide naval platform which allowed for the construction of vessels like Ability, Maraya, Romance, Blue Eyes, Mimtee, and Darlings Danama. 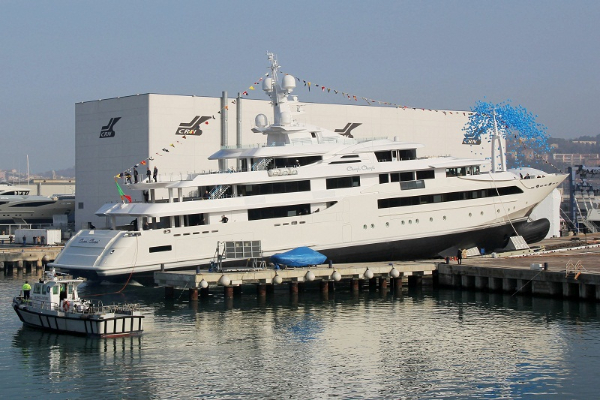 Besides the CRN vessels listed above, five megayachts under the Custom Line brand (two CL 124’, two CL Navetta 33 Crescendo and a CL 112’ Next) and a Riva 122’ Mythos in aluminium are currently under construction at the Ancona . Chopi Chopi is a steel and aluminium displacement hull yacht developing over 5 (+1) decks: lower deck (crew, engine room, and garage), main deck (guests), upper deck (living area and bar), owner deck, sun deck, and a sub lower deck, which is essentially a technical area featuring systems and equipment. The new flagship is the outcome of a perfect blend of complementary skills and the fruitful cooperation between the CRN Engineering team, in charge of naval architecture, and Studio Zuccon International Project, that developed the yacht’s exterior lines and interior layout. Upon specific request by the Owner, indoor furniture and furnishings have been designed by interior designer Laura Sessa Romboli and built by Zago, the Ferretti Group’s company specialising in woodwork on megayachts. Chopi Chopi stands out for its great spaciousness, airy environments, streamlined and yet soft lines, painstaking care for details and onboard wellbeing, light effects and, last but not least, a direct contact with the sea. Similar features are not easily found on a vessel of this size and have been achieved through the implementation of ad-hoc solutions like the aft beach club, characterised by a door that can collapse down to the water surface, and the large glazing ensuring incredible brightness in all interiors while offering a constant ‘eye-contact’ with the sea. CRN’s latest megayacht, which fully embodies all the main strengths of the brand, has been developed to meet all the Owner’s specific needs – an ad-hoc project aimed at welcoming guests in the best possible way in six suites with a balcony and several terraces overlooking the sea on the main deck and offering the Owner an exclusive ‘nest’ thanks to a fully-dedicated deck where, among other things, a helicopter can easily land in the utmost privacy. At the stern of the lower deck of this true pearl of naval architecture is the more-than-100 square metres wide “beach club”, whose door can be converted into a large swimming platform at the water level. The relaxation area continues indoor, with a fitness area and a spa with a sauna, a Turkish bath and a massage area. This pleasure vessel can host 23 crew members + 10 staff members, while up to 12 guests can be accommodated in 5 (double and twin) cabins and 1 master stateroom. 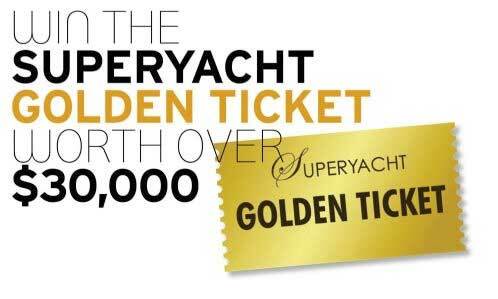 The yacht is powered by two Caterpillar 3516B-C engines that push it to a cruising speed of 15 knots and a maximum speed of 16 knots. The cruising range at a speed of 12 knots is 6,000 nautical miles.